We have gained a huge popularity in the market proffering best array of Portable Rechargeable Fan. They are available at lowest rates. We offer our clients with DC instrument High Speed fans which are being procured from the leading manufacturers. These DC instrument High Speed fans are being stringently tested on various parameters before being supplied to the clients. 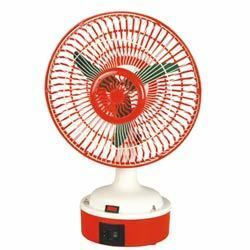 Banking on our enriched industry experience, we are able to supply Orbit Rechargeable Fan. In order to meet excellent quality standards, we are supplying Rico Rechargeable Fan. Anything Everything Rechargeable Mini Fan with LED Light. We are the leading importer and supplier of Rechargeable Fan with Light throughout India with LED light.With the comfort of quiet operation. High performance motors deliver higher air throw and are built to withstand voltage fluctuations.